Sparkling Adventures -✯- Off she goes! 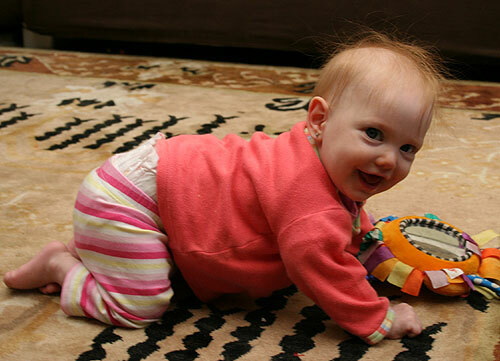 Calista can now move around, mostly backwards. However, she has discovered that she can reach things in front of her by propping herself up on her knees and then lurching forward, caterpillar style. Calista is still a very little baby — I'm putting her into 000 summer clothes now, which means she is wearing all the fantastic clothes we got from Tirzah.